Acts, Bills. Hansard and Explanatory Memoranda. Federal and States. Australian case law, legislation, commentary and legal journals. Replaces LexisNexis AU and Lexis.com. First logging in? Select Pacific Research under Where would you like to start? Access Australian and New Zealand legal resources, including case law, legislation, journal articles, commentary and more. Provides access to the All England Law reports for UK case law. Australian law and related fields. Compiled by the Commonwealth Attorney-General's Dept. Coverage in a broad range of subject areas. Includes several databases which may be searched either individually or in combinations. International. Full-text. Dates vary. The Search Word Generator helps you to analyse your topic or question and identify words and phrases to use in your search. Cases follow a standardised layout as seen in the interactive case below. The structure of Acts within all Australian jurisdictions follows a common pattern. Notice the important parts in the consolidated Act below, including the compilation information as this makes you aware of any amendments. AGLC Referencing - The "Why's" and "How's"
This guide is a supplementary resource to be used in consultation with the Australian Guide to Legal Citation 4th ed. It will provide you with detailed style notes and examples of how to cite the law. First year students are now expected to use the 4th edition and are encouraged to refer to their LLB 1115: Legal Skills activities in Weeks 2 and 3 for more information. UniSA Library Business, 2016. 10 quick tips: How to use AGLC (Australian Guide to Legal Citation) Updated. You will find the Law Library on the Ground Floor of Wollongong Campus Library. Our Law Library contains a broad range of physical and online resources, specifically tailored for UOW law students. Our Law Library uses the Moys Classification Scheme, which is very different from Dewey. The collection is indexed via SEARCH. Find items by limiting the location to Law. Law journals, reference and primary materials are not for loan. 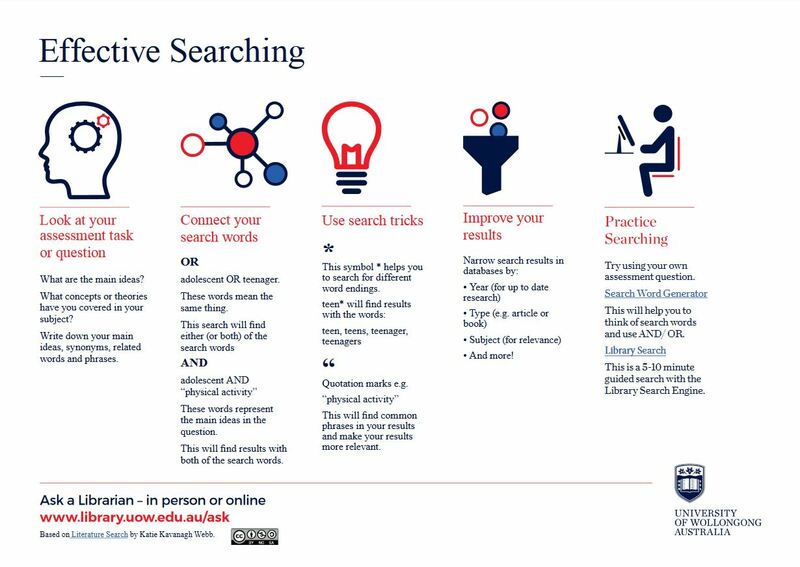 Librarians are skilled in connecting you with the information you need, and assisting you with search strategies so that you can search independently. A one-stop-shop for academic skills support. Visit us in person or online. Enrol in workshops on academic writing, research skills and English language communication (Wollongong students only).